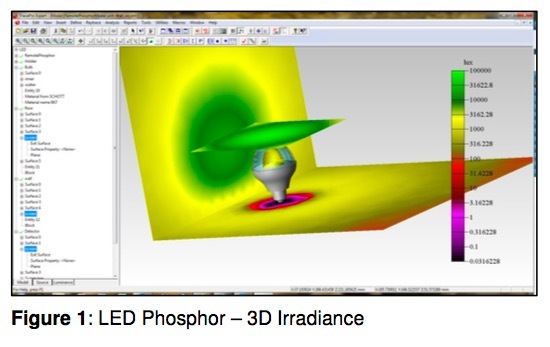 TracePro offers several methods to accurately model LED light sources and predict output performance. Sources can be modeled as grid sources, surface sources, or extended sources using ray files derived from measurements. Sources can also be modeled by actual source geometry and defined completely using the TracePro sketch facility. Four surface design concepts are supported to address LED-specific design issues – imaging lenses, TIR lenses, hybrid imaging-and-TIR lenses, and reflectors. The focusing elements need to follow the same trend and become smaller in size while delivering the required system performance, e.g. a specific light intensity distribution profile. Narrow-angle LED emission is needed in many display applications. 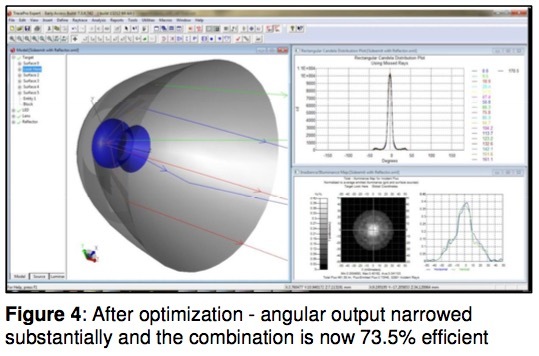 Optical components are needed to transform Lambertian emission into a narrow-angle distribution. 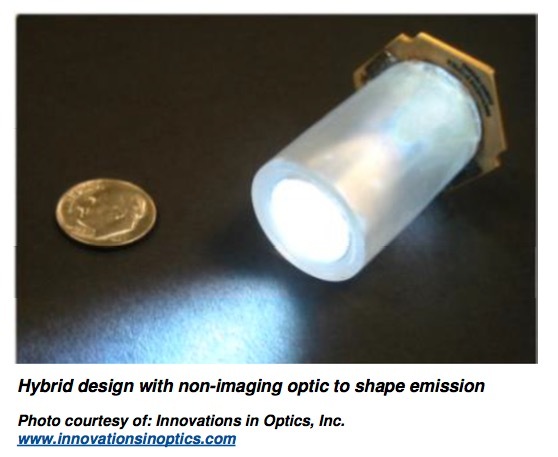 Needs to be controlled due to LED phosphor shapes and die size limitations. TracePro is a highly intuitive tool for simulating the properties and geometries of LED modules in order to determine the output performance. The utility used for this process is the Surface Source Property Utility, which helps users enter angular and spectral emission data quickly and accurately. The utility allows users to digitize screen-captured spectral and angular radiation distributions from the LED manufacturer’s data sheets, including relative spectral power distribution and either polar or rectangular radiation pattern distributions. 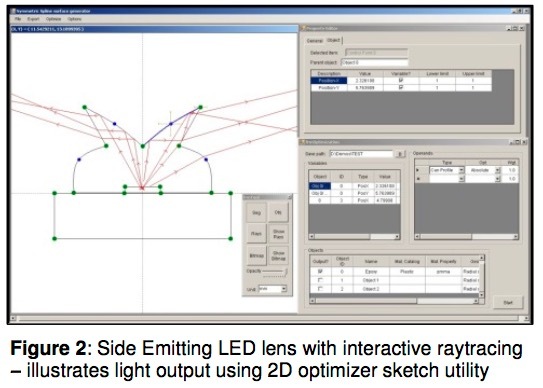 is important, users can create an optomechanical model of the LED module by importing the geometry from mechanical CAD files available from the LED manufacturers or by directly creating the geometry in TracePro based on manufacturers’ specifications. 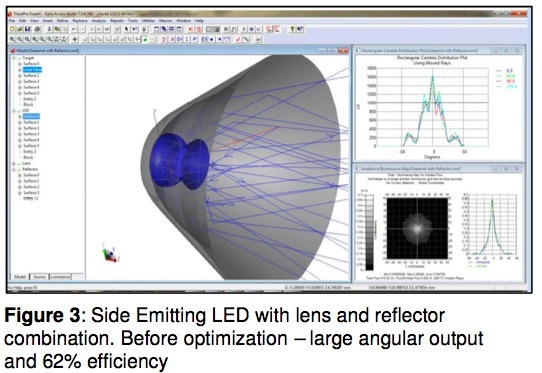 The user can model the complete packaged LED – cup, lens, die, etc. – and then apply the material, surface, and fluorescence properties using the Material, Surface, and Fluorescence Property dialog boxes.